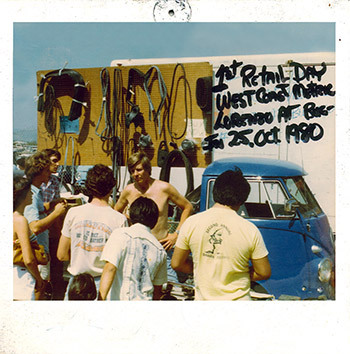 It all started for us back in 1977 with a commitment to provide the highest quality parts for VW’s that would meet or if possible exceed the originals in look, feel, fit, and quality. To achieve this we first had our own tooling made from brand new original VW parts. Next we did research and development until the parts were just right and then had them made right here in the USA. Which is why we offer our exclusive Lifetime Guarantee on all parts manufactured by WCM for as long as you own your vehicle. For parts we don’t manufacture we offer German or the best available equivalent for your Bug, Bus, Ghia, Type 3, Thing or Vanagon. We are a family owned and operated business and don’t bother carrying any items we wouldn’t use or install on our own cars. So for the highest quality parts at the best prices look no further than WCM. We are the VW guys. We own, restore, drive, show, race, and love them! 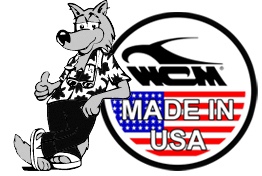 Here in the WCM we have had a long standing tradition of making quality parts and accessories that fit and are made to last. To achieve this we believe it’s important to have the majority of our products Made in the USA. Out of the wide variety of parts we manufacture and make, over 96% of those are made right here in California off of our own tooling. Sure there are a few parts that are cost prohibitive to have made here, but we strive to keep those to a minimum supporting workers and companies here in the USA before sending things abroad.